Due to a shortage of green cards for workers, many employees find themselves stuck in an immigration process lasting more than a decade. New York: The Trump administration's "inconsistent" immigration policies, including on the H1-B visa for professionals, could "disrupt" operations of American firms and inflict "substantial harm" on their competitiveness, CEOs from top US companies have warned. In a letter to US Homeland Security Secretary Kirstjen Nielsen, members of the Business Roundtable, including Apple CEO Tim Cook, Chairman and CEO of PepsiCo Indra Nooyi, President and CEO of Mastercard Ajay Banga and Chairman and CEO of Cisco Systems Chuck Robbins said that confusion around US immigration policy "creates anxiety for employees who follow the law." The Business Roundtable, an association of chief executive officers of America's leading companies, told Nielsen yesterday that "inconsistent government action and uncertainty undermines economic growth and American competitiveness." Due to a shortage of green cards for workers, many employees find themselves stuck in an immigration process lasting more than a decade, they said. To avoid unnecessary costs and complications for American businesses, the US government should not change the rules in the middle of the process, the CEOs said, pointing out to the several policy memoranda over the past year by the US Citizenship and Immigration Services (USCIS) has issued that has resulted in "arbitrary and inconsistent adjudications". "Companies now do not know whether a work visa petition that was approved last month will be approved when the company submits the identical application to extend the employee's status," they said. In particular, the CEOs said they are worried about changes to the review process for H-1B visas for high-skilled workers, expected changes to the rules for spouses of H-1B employees and planned changes to certain deportation rules. Employees who qualify for H-1B jobs often hold degrees in science, tech, engineering or math, and are highly sought after by employers, the CEOs said. The Roundtable members said that a confusing immigration system in the US which threatens to split their families apart, could encourage them to seek employment in a different country. That would put the American economy at a disadvantage. They also noted that in many cases, the US Labor Department has determined that "no qualified US workers are available to do that person's job." President Donald Trump has said that some IT companies were abusing the US work visas to deny jobs to American workers. "As the federal government undertakes its legitimate review of immigration rules, it must avoid making changes that disrupt the lives of thousands of law-abiding and skilled employees, and that inflict substantial harm on US competitiveness," the CEOs noted. The Business Roundtable will continue to work with Congress to reduce the Green Card backlog, they said. In the interim, inconsistent immigration policies are unfair and discourage talented and highly skilled individuals from pursuing career opportunities in the United States, they said. The reality is that few will move their family and settle in a new country if, at any time and without notice, the government can force their immediate departure–often without explanation. "At a time when the number of job vacancies are reaching historic highs due to labour shortages, now is not the time restrict access to talent," the CEOs said. 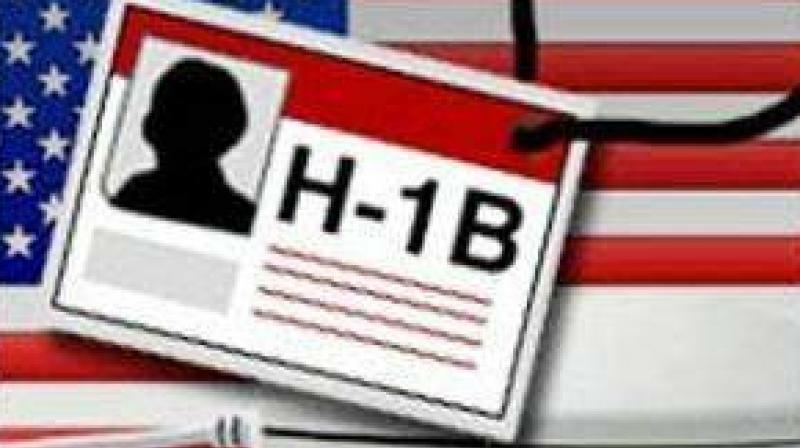 The group has called for increasing the number of H-1B visas and letting people with advanced STEM degrees from American universities qualify for a green card immediately. Meanwhile, the US Citizenship and Immigration Services said in a statement the "administration has been relentlessly pursuing necessary immigration reforms that move towards a merit-based system." "USCIS is committed to reforming employment-based immigrant and non-immigrant immigration programs so they benefit the American people to the greatest extent possible," CNN quoted spokesperson Michael Bars as saying.